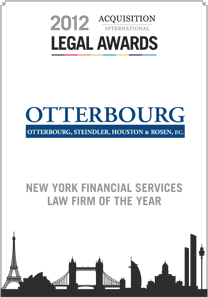 Otterbourg offers clients a unique combination of legal insight and practical solutions and is known for its integrity, stability and business knowledge. Otterbourg attorneys represent financial institutions (including banks, asset-based lenders, hedge funds, finance companies and insurance companies) and corporations and other business enterprises. We help clients with financing transactions, acquisitions, investments, litigation and alternative dispute resolution, real estate transactions, workouts, restructurings and bankruptcy proceedings. 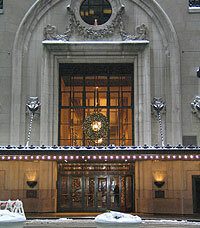 After more than 100 years, the firm continues to expand its capabilities in order to meet our clients’ needs. Prospective and current clients, law students, lateral attorneys and legal staff are encouraged to explore our website or contact us for more information.